EVERY YEAR, PEOPLE CONSUME 26 billion over-the-counter (OTC) aspirin and non-aspirin pain relievers, and doctors write more than 100 million prescriptions for these drugs. Although they are touted as being "safe and effective," these pills are responsible for almost as many deaths as AIDS. In a report published in the June 16, 1999, New England Journal of Medicine, researchers at Boston University School of Medicine (BUSM) discussed the significant and potentially fatal side-effects of non-teroidal anti-inflammatory drug NSAIDS) use. NSAIDS include aspirin, buprofen (Advil, Motrin), naproxen odium (Aleve, Naprosyn, Naprox), iclofenac (Voltaren), indomethacin ndocin), and many others. M. Michael Wolfe, M.D., professor of medicine at BUSM led the study. "This is in many ways, a silent epidemic because gastrointestinal complications are not proceeded by any warning signs in a majority of people," said Dr. Wolfe. "Many primary care physicians and consumers may not be necessarily aware of the potential side-effects of NSAID use." "In many cases, potentially fatal events occur as a direct result of gastrointestinal damage due to NSAID use," Wolfe stated. "Even someone who takes aspirin for something as simple as muscle pain is at high risk for gastric damage...we estimate that approximately 16,500 deaths occur annually in the U.S. from ulcer-related complications associated with their use." "Only a minority of patients who have serious gastric complications reported any kind of discomfort. We have to increase the awareness level of what is a very serious problem." An alternative for joint and muscle pain is chiropractic, The Agency for Health Care Policy and Research (AHCPR) published in its clinical guidelines for acute low back pain that for relief of back pain the following should apply: Exercise and postural education should be practiced to prevent back pain. If you experience back pain the use of NSAIDs is effective (new evidence shows that there may be a price to pay). Manipulation, or spinal adjustments are a recommended method for symptom control. 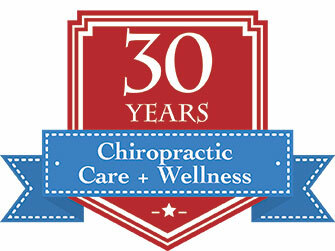 90% of all manipulations in the US is performed by chiropractors. With this information those friends and relatives that are suffering or living on these OTC drugs would be wise to consult with a doctor of chiropractic to see if chiropractic would be effective for their individual case.